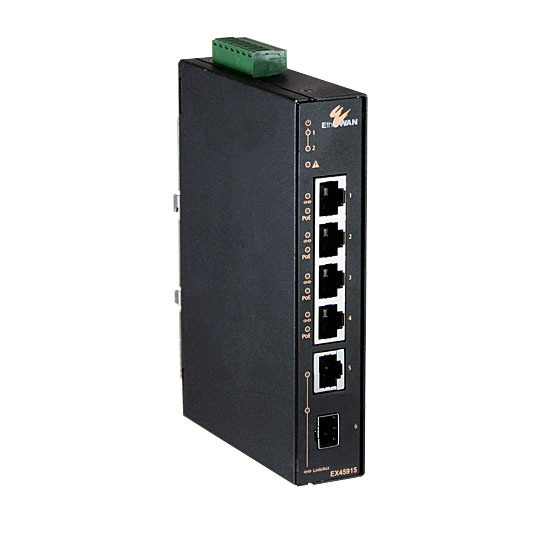 EtherWAN's EX45900 Series provides a hardened 5-port switching platform supporting IEEE802.3at Power over Ethernet, high performance switching with robust features required for mission-critical and harsh environments where sustained connectivity is crucial. 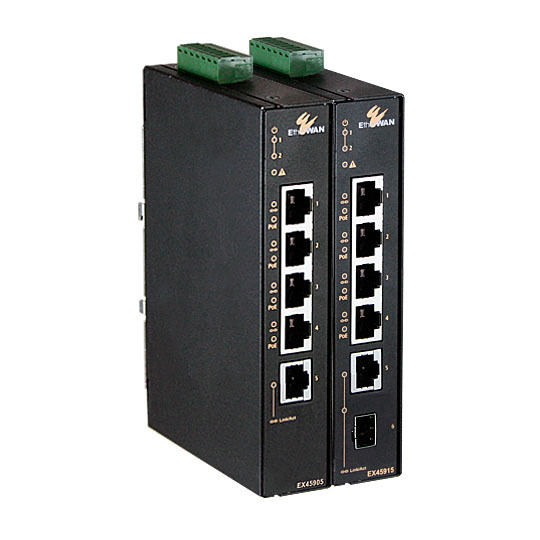 The EX45900 Series is equipped with 4 10/100/1000BASE-TX PoE ports, in combination with one Gigabit Fiber option. 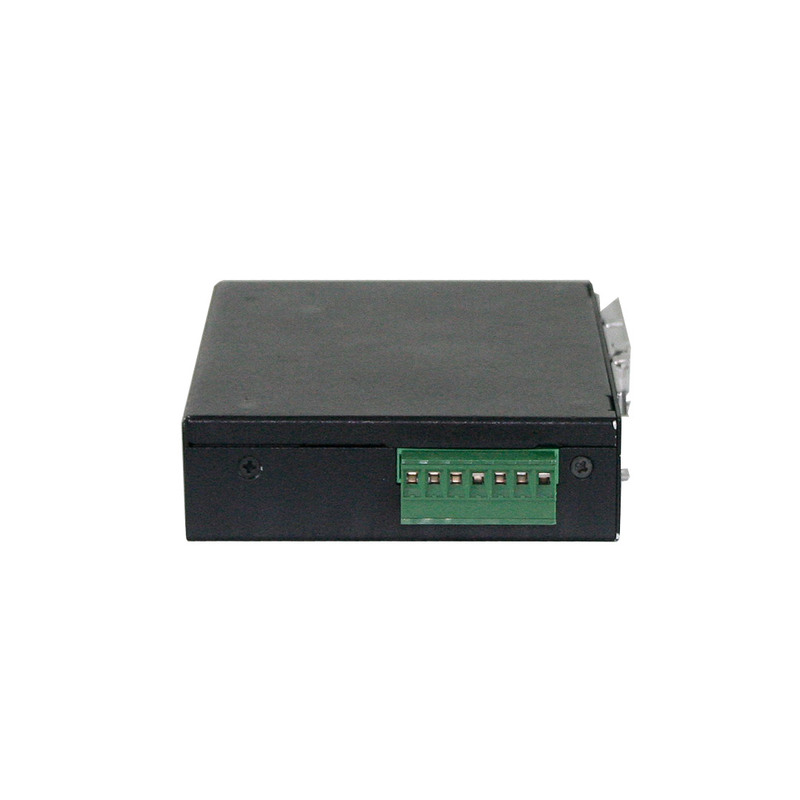 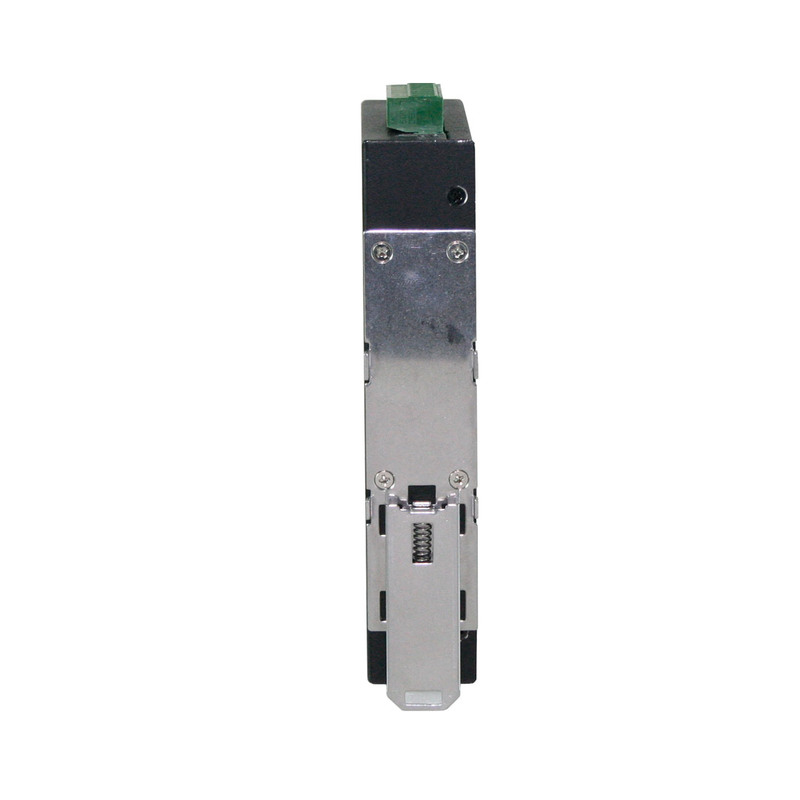 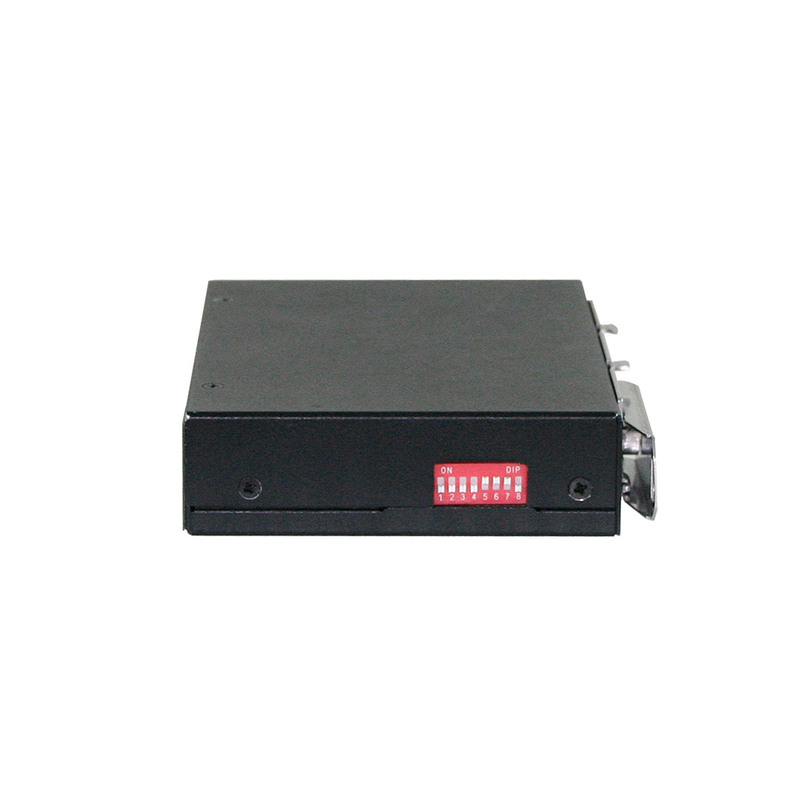 The EX45900 is feature rich with 10K Jumbo Frame support, full wire speed Gigabit throughput, QoS support and eco-friendly IEEE802.3az EEE (Energy Efficient Ethernet) compliant, making the EX45900 Series a powerful yet energy efficient network switch. 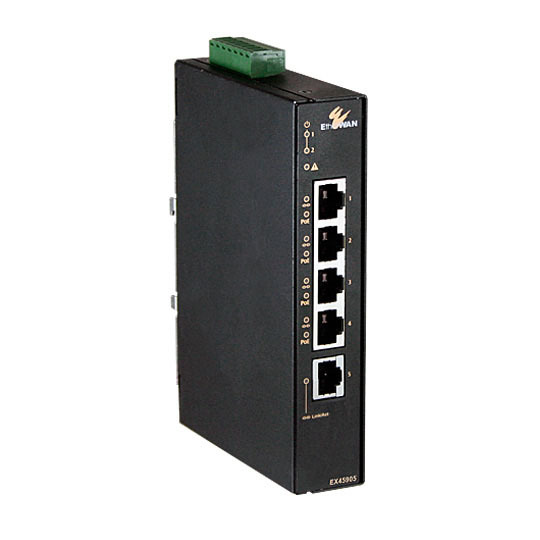 The IEEE802.3at PoE ports provide up to 30W/port with a total power budget of 120W, making the switch truly versatile for connecting with PoE Powered Devices (PD) with different bandwidth and power consumption requirements such as; outdoor PTZ dome cameras, wireless access points, and way-side communication devices.